Google Instant, More Motivation to Pay Attention To Your Content. While the presentation of the search results may change, the biggest advice I can give to your internet managers, webmasters, etc: Users want to visit pages with compelling content and a great user experience. If you’ve looked in your analytics lately you may notice an increase in impressions because your site will appear in search results as users type. 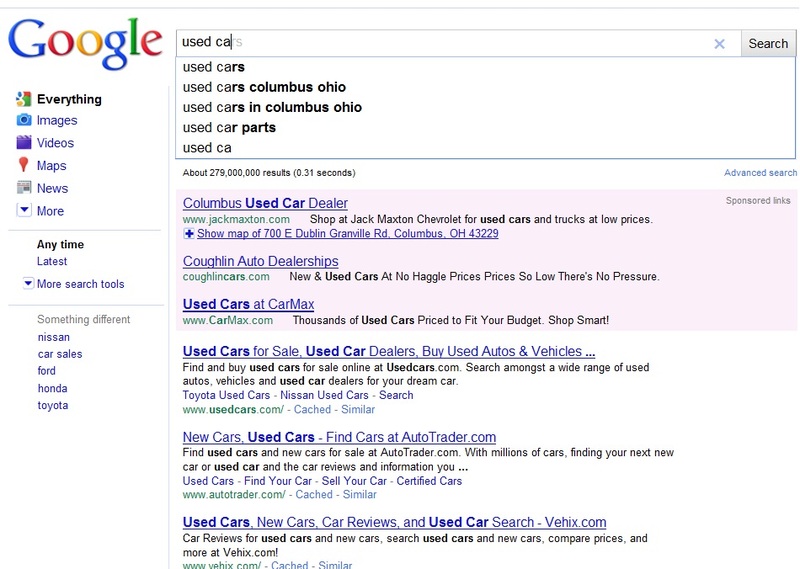 1.Your site is displayed in search results as a response to a user’s completed query (e.g. by pressing “enter” or selecting a term from autocomplete). This is the traditional model. 2.The user begins to type a term on Google and clicks on a link on the page, such as a search result, ad, or a related search. 3.The user stops typing, and the results are displayed for a minimum of 3 seconds. To give an example, let’s say your site has lots of impressions for [hotels] and [hotels in santa cruz]. Now, because Instant is quickly fetching results as the user types, the user could see your site in the search results for [hotels] after typing only the partial query [hote]. If a user types the partial query [hote] and then clicks on any result on the page for [hotels], that counts as an impression for your site. That impression will appear in Webmaster Tools for the query [hotels]. The term ‘hotels’ would also be included in the HTTP referrer when the user clicks through to visit your website. It’s likely that your site will still see impressions for queries like [hotels in santa cruz], but because Instant is helping the user find results faster, your site may see an increase in impressions for shorter terms as well. RSS feeds are a great way to keep you followers in the loop on what you’re doing. To kick off a good feed make to start with 2 or 3 really interesting topics so that when people are looking at it they think, wow so and so dealership really has a cool blog. Do not try to repopulate it with old content. Remember Google really doesn’t index rss or atom feeds. They look at good content and links. But, also by doing this you could really annoy your readers if it’s old news that maybe they’ve already seen.